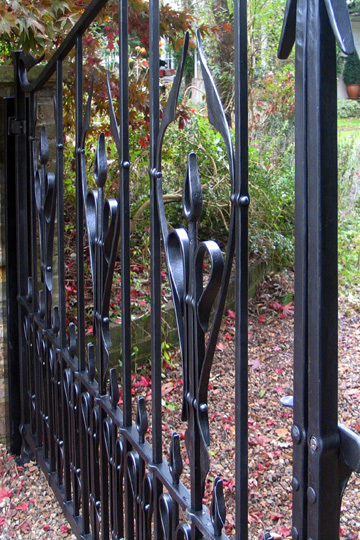 Traditional blacksmithing techniques, such a mortise and tenon joinery, ball nuts and hot punched holes were used to construct these gothic wrought iron driveway gates. No electric welding was used. 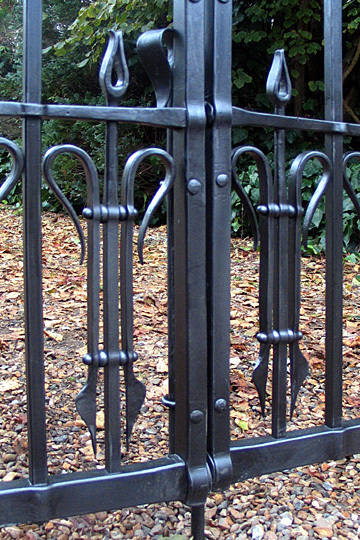 The level of workmanship involved in the making of these gates is evident in the forged detailing seen throughout the gates. 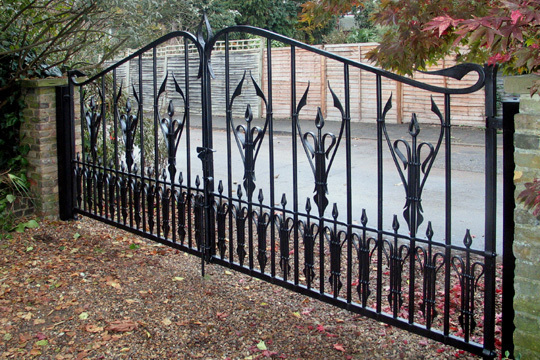 The design of the gates is a contemporary interpretation of Victorian Gothic ironwork. 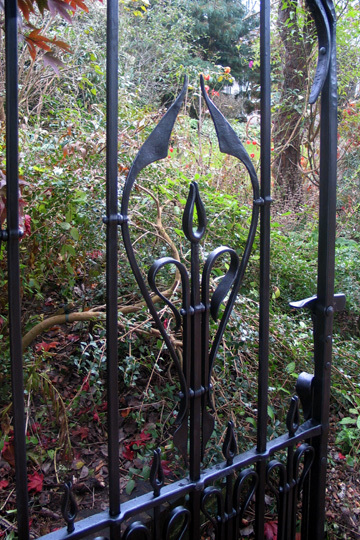 A stylised plant form is repeated along the lower row, with a more detailed version progressing along the top row. 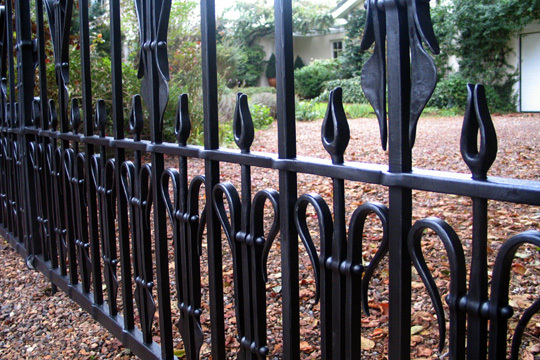 The sinuous forged curve used for the top of the gates is reflected in this upper motif. 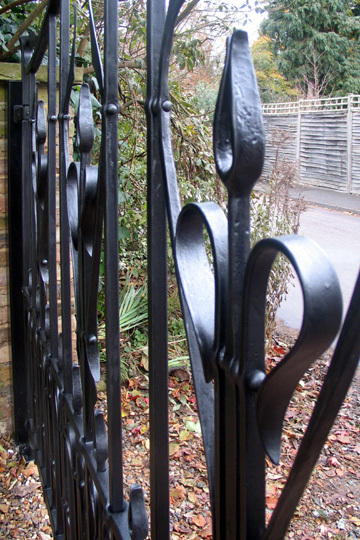 The gates were finished with a graphite enhanced paint to highlight their rich detailing.